Since the club’s foundation we have been at the forefront of a number of healthy lifestyles local community initiatives and partnerships to combat drug, alcohol and substance abuse among young people. It was during the early years of the work we adopted the Drug Free cul! branding image. The logo was originally used by health agencies and the GAA in Limerick. We now use it as a visible message for all our members, parents and players to reflect the importance we hold the issue of drug, alcohol and solvent abuse in the communities we draw our support from. 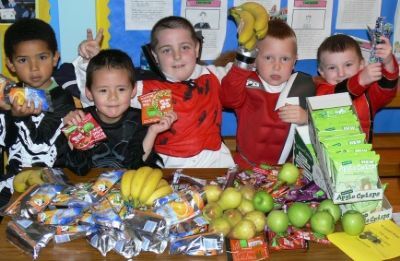 The club tackles the issue using a wide range of tools from training for coaches and parents to promoting healthy eating and good practice at training with our under 8s clubs. Who ate all the pies? Not us! Please see our Drugs and Alcohol Policy page for more information.